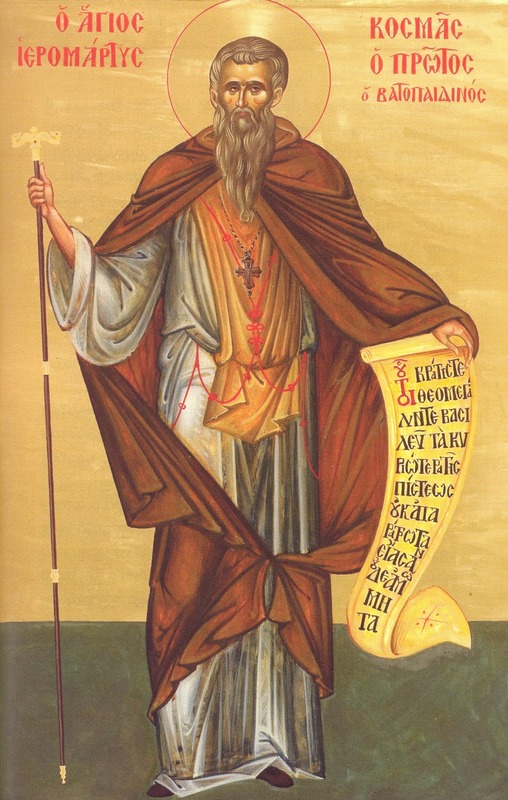 Saint Kosmas was a monk of Vatopaidi Monastery and lived at the Karaion Skete in the 13th century. He was Protos of the Holy Synaxis at the time when the supporters of the union with the Papal Christians, following the ecclesiastical policy of the Emperor Michael VIII Palaiologos and the Patriarch John Bekkos, were pressing the monks of Mount Athos to support the union. Like Saint Euthymios and his twelve monks and many others, particularly from the Iveron and Zographou Monasteries, as well as Vatopaidi and Xenophontos, who, because of their opposition to the union, suffered persecution and a martyr’s death, Saint Kosmas was put to death by hanging at his Skete. His martyrdom was confirmed by the disinterment of his remains, carried out by the Holy Community in 1981, on the spot described by tradition, where there was always a lamp burning. 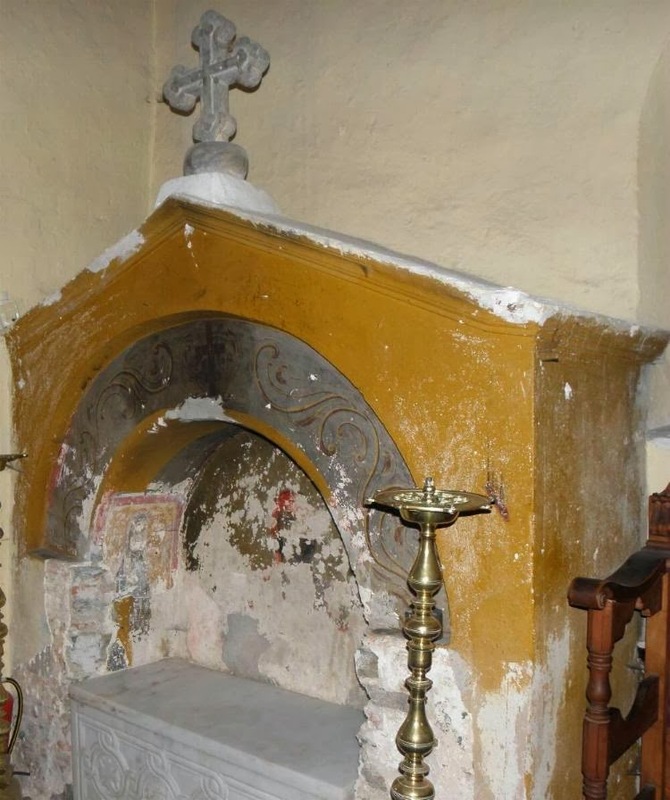 Saint Kosmas' relics rest in the Narthex of the Church of Protaton in Karyes. His primary feast day is on December 5th, and the feast of the translation of his relics is on November 18th.